All British Casino – Bank Holiday Free Spins! Claim 50 Free Spins on Fire and Ice! Our friends in the UK are enjoying their well-deserved August Bank Holiday. However, nobody is excluded at All British Casino as all players from any location can claim a superb 50 Free Spins on the latest Amatic slot, Fire and Ice. What a fitting game to play as the final episode for the penultimate season of Game of Thrones, a song of Ice and Fire, airs tonight. Don’t forget that participating in this offer will also entitle you to some Free Spins on the upcoming Sunday as well. Enjoy some great Free Spins this Monday at All British Casino, no matter if you are on your bank holiday in the UK or any other region. Log-in to your account today, 28th August 2017, until 23:59 GMT and claim 50 Free Spins on Fire And Ice for a small £20 deposit. All winnings from the spins are credited as bonus and need to be wagered 35x within two days. All British Casino Bonus Terms and Conditions apply. Fire and Ice is a retro-themed game from game provider Amatic. They have worked their usual magic to produce a classic game, with beautiful amounts of detail as well as a unique bonus feature. The game features 6 reels, 3 rows, pay-both-ways and a choice of either 10 or 20 pay lines that can be played from as little as 10p. Keep an eye out for the wild symbol which is a bell, as this can substitute for any other symbol and bag you some real winnings, or start the bonus feature. 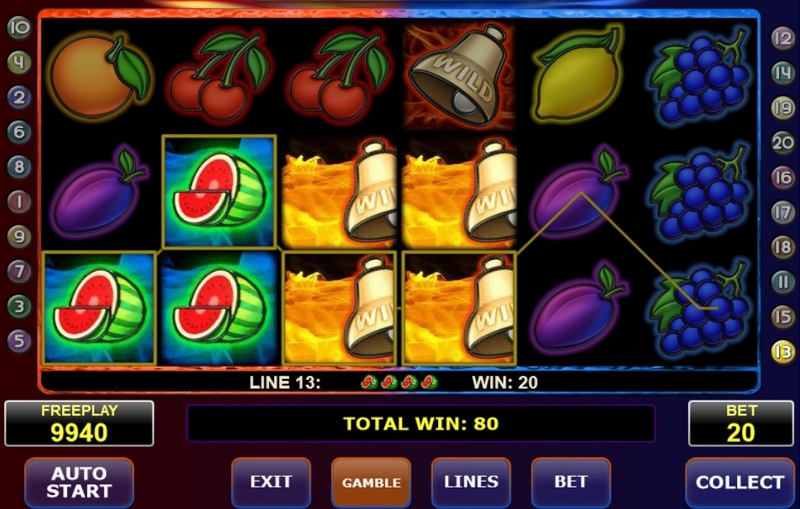 The bonus feature awards 7 free spins, and all of the wild symbols that appear will be stuck in place, bringing in some huge wins or even starting the bonus feature again.